Ok, I can’t believe I’m about to do what I’m about to do. As you are all aware, the 2010 Olympics begin here in Vancouver this week, and if you live here, you know how difficult it has been to get tickets. Well my friends, I have tickets. And not just any tickets. 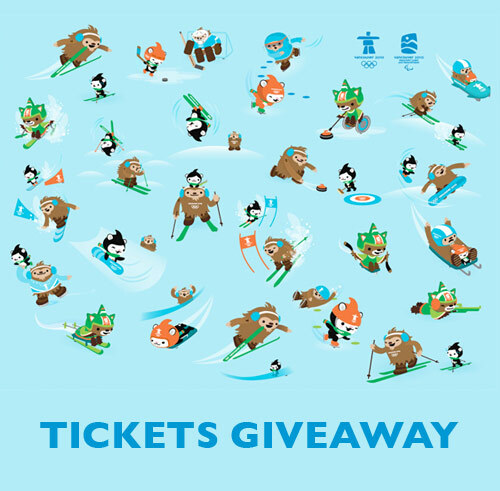 I have a pair of tickets to the 2010 Olympics Men’s Hockey Semi-Finals courtesy of BC Hydro’s Power Smart Village (opens February 10th). Hockey is the only event I really care about and I would gladly do some very bad things to go to any of the Olympic hockey games, but I’ve decided to give these tickets to you instead. 1. Take a photo of yourself wearing a hockey jersey. You must have two thumbs up in the photo! Bonus points for vintage jerseys! (note: bonus points are meaningless and will not increase your chances, but I will think you’re really cool and if you’re a girl maybe I’ll call you sometime).